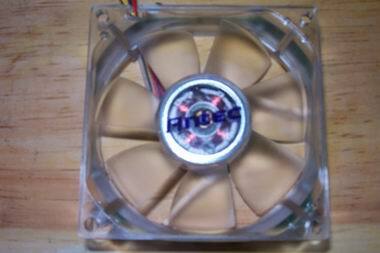 A while back, there were some folks who decided to take LED modding a step forward by putting them onto some fans. 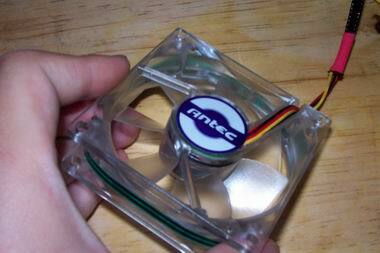 With the movement of the fan with the LEDs, it was a very cool creation. So what happens when you get a innovative mod? You get retail copies of it done one step better. 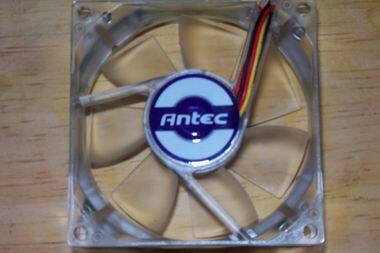 In steps the 80mm clear Antec Blue LED fan supplied to us by Lux-Design of Canada. 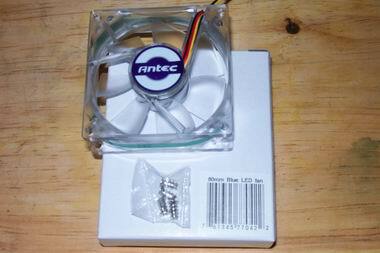 In the white box you receive the fan itself and 4 screws. There's no spec sheet or instructions, it isn't that hard to get this working. So how exactly does this fan work? 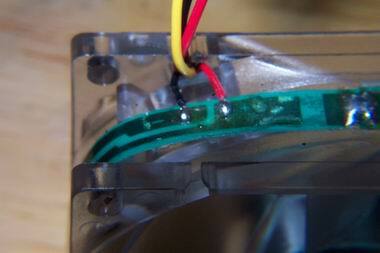 There's a total of three blue LEDs that are fitted through the sides of the fan. I'm not sure what the MCD value of the LEDs, the Antec site didn't shed any of this information either. There's a power strip that taps into the power lines to power the LEDs. 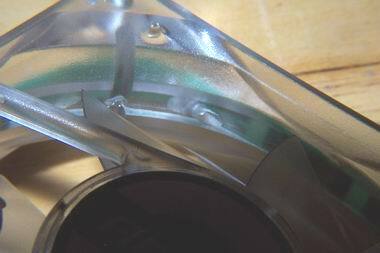 The strip circles around the outside of fan. It doesn't get in the way of the screw holes, so there shouldn't be any clearance problems when installed.